Every interpreter has their preferred way of picking seismic to generate the best horizon. DUG-Insight is packed with hotkeys to speed up your workflow. Let’s take a look at these keyboard shortcuts. Horizons can be picked in any section view and can be propagated using our waveform propagator, or manually picked using our manual picking tools. 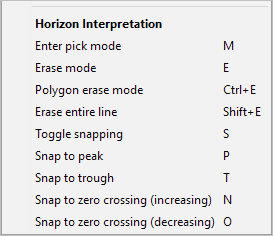 To start picking a horizon, find it in the control panel and click on the pencil icon to enter editing mode. Insight has four picking modes. To check which one you are using, look in the picking area of the horizon details panel. The picking modes are amplitude snapping, straight line, propagator guided and propagation mode. We’ll use the manual propagator guided mode. Open an IL/CL view and navigate to the location you wish to start picking. Click MB1 to place the first pick and drag the mouse along the event. Click MB1 to drop points along the way. Switch to the next IL by typing the up/down arrows; to change the CL use the left/right hotkeys. Continue placing picks. To get a closer look at the picked event use the + key to zoom in and - to zoom out. Reset the last zoom by using F10/F11. 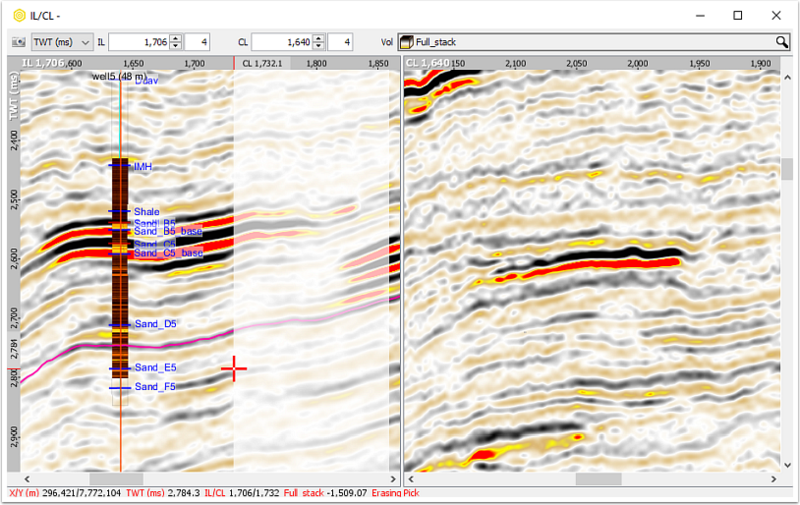 Shift left/right pans the window through the data on the same IL/CL. All this movement is done without exiting picking! The seismic reflector can sometimes change polarity across an event. Perhaps the peak has become a trough? Switch snapping mode from Peak (P) / Trough (T) / increasing (N) or decreasing zero crossing (O). 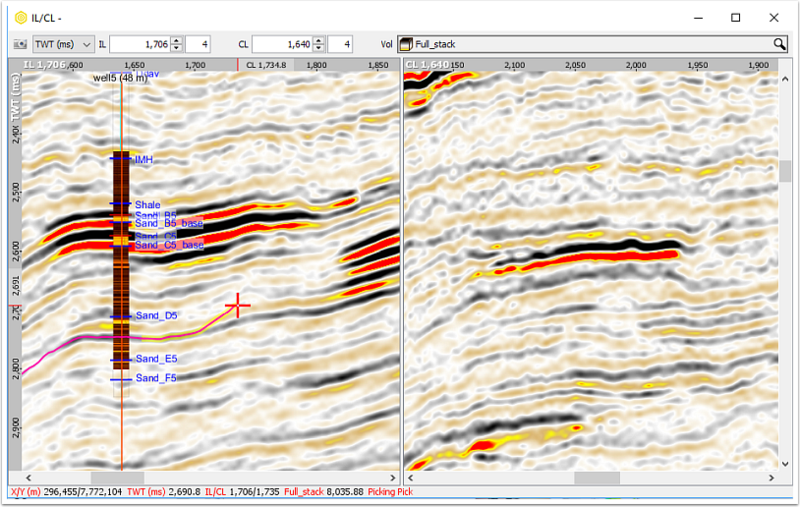 Sometimes it’s easier to see subtle changes by displaying wiggles on the seismic. When in propagator guide mode, snapping adjusts picks to the exact peak or trough. Toggle this option on/off using the S hotkey while in propagator guided mode. Once picking is completed, use the Esc key to exit picking mode. To re-enter the last picking mode click M.
Erasing picks is quick and easy. There are a few options. Use hotkey Z to undo picks when in picking mode. Enter full erasing mode by selecting E, and use the mouse to select the section to erase. To erase the all interpretation on the picked IL or CL, select Shift E.
Finally, after using all those hotkeys the horizon is picked. Click Ctrl S to save the session. Time for a well earned cup of tea.